We sure are busy bulahs today! We've finished our X-Carve, and are now cutting designs on it. We are working on our finalized drive train and frame. Our fundraising team is hard at work participating in contests and reaching out to new sponsors. Our uniform shirts are in, and everyone can have one; anyone can purchase them at shop.spreadshirt.com/bulahbots. Bumpers are a challenge, but we have three rookies stepping up and conquering the task. We are moving quickly, and are excited to see our hard work pay off. This week has been quite productive for all aspects of the BulahBots! team. We have finished our mock up of our drive train and gear delivery, and we are finalizing our climb mechanism. We are excited to see the benefits of the cooperation among these three focal elements. Our design team is finishing overall plans for our robot to ensure we will be able to excel at our desired aspects of competition. This year's game is released! This year we are going to 'Take Flight' by stocking our ship with enough fuel and climbing aboard. (The video is below). We are very excited about our team and feel that we are strong in every aspect of the team. From programming, to build, to image, we've got great leadership and look forward to a great season. If you are interested in helping us we are still short of our fundraising goal. You can help better prepare the business people and engineers of the future. Email coach@bulahbots.com for more information. Coming up this Friday (January 8, 2016), we will be having a JV competition at PBS. It will be hosted in the middle school gym and the gym will be open for setup at 17:00 (5:00 PM). The competition is estimated to end at 19:30 (7:30 PM). Click here to see the schedule online or download the PDF from below. Also, varsity robotics members are welcome to come and help setup. Below is a map showing which building the competition will be in. 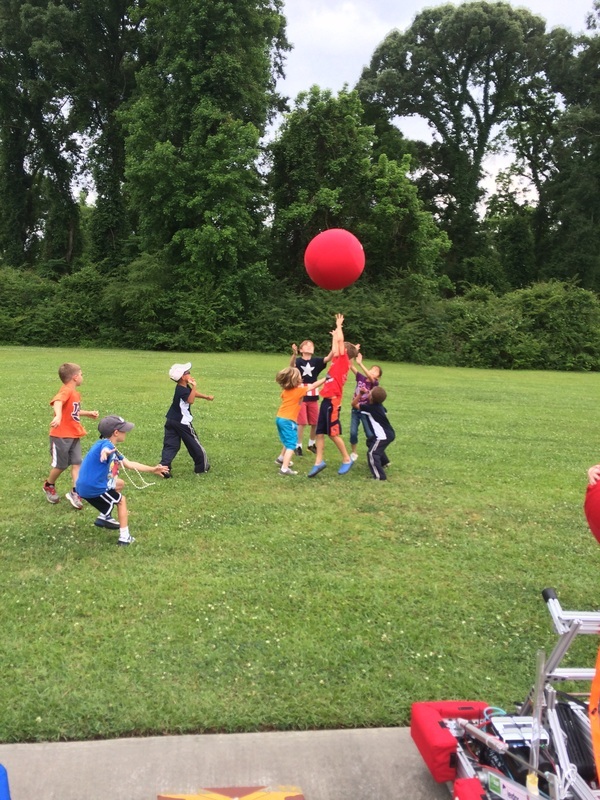 Week two is all about the PICKUP! Focusing on the pickup mechanism we are able to test it for limits and try to make critical decisions. We have seen good results with the setup that we are currently and look forward to this year's season. 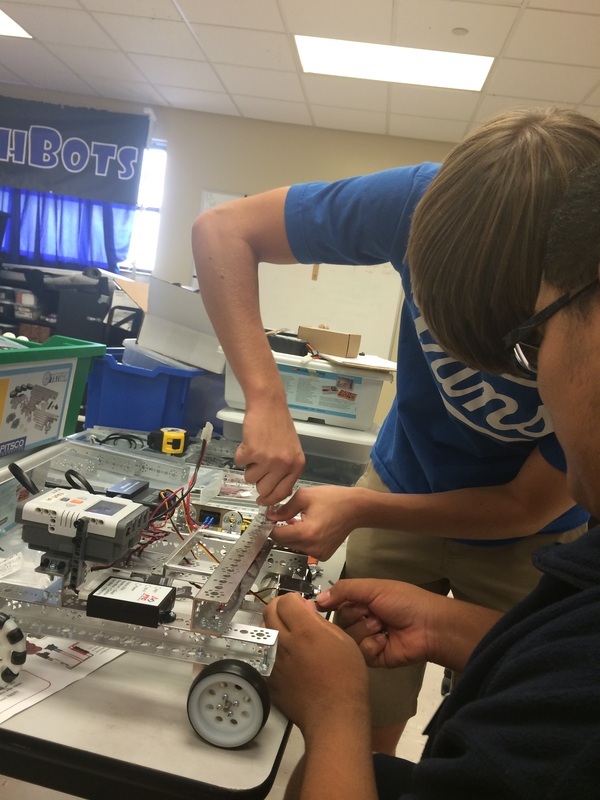 BulahBots win RoboReboot Competition in Fort Worth, tx. 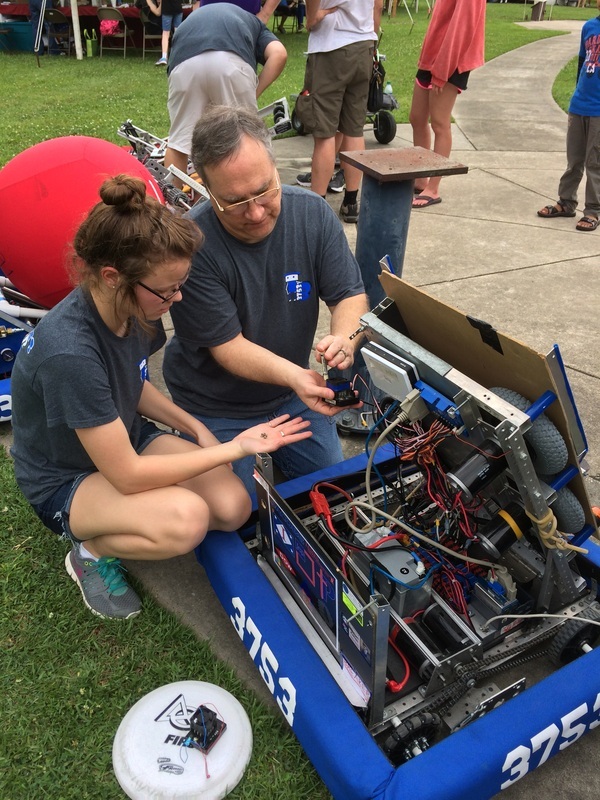 On the last weekend of June 2014 BulahBots, from Parkview Baptist Baton Rouge, joined KnightVision, from Episcopal Baton Rouge, to travel to Fort Worth, TX and win the RoboReboot Competition. It was a fantastic trip. 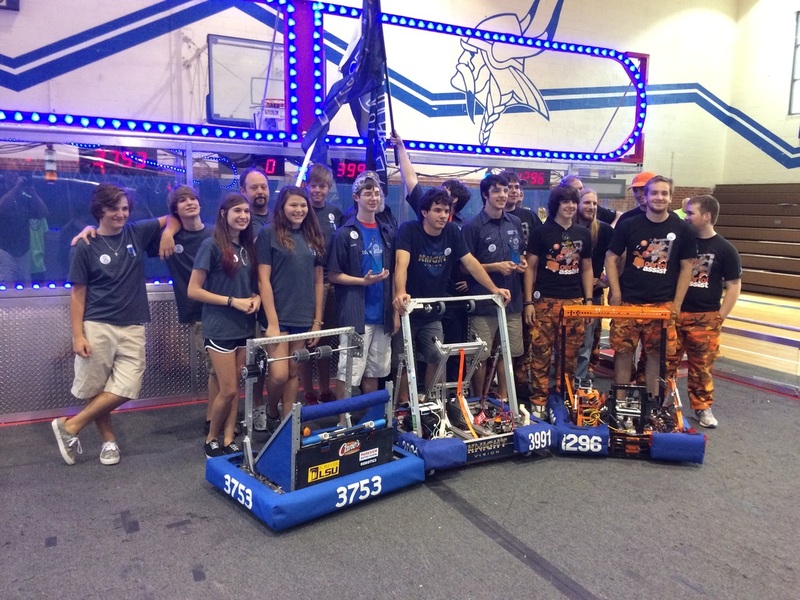 Thank you to Knight Vision (FRC 3991) for sharing the ride and victory with us!.